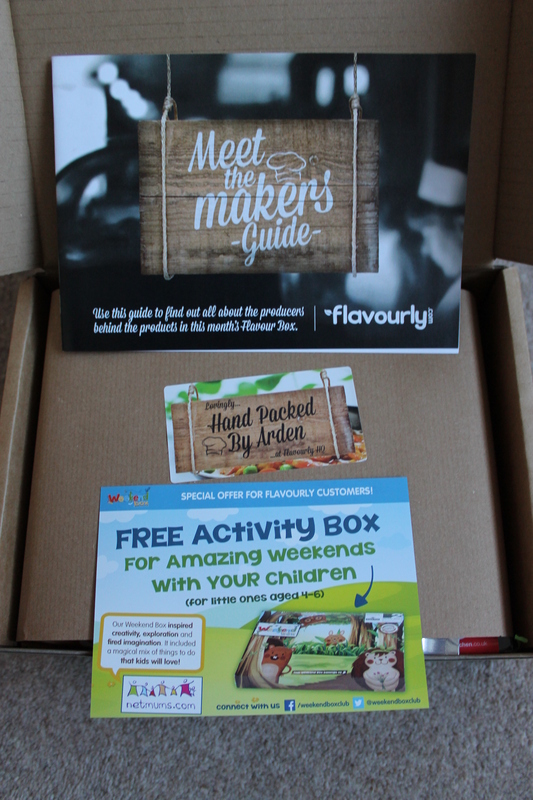 On Tuesday two weeks ago I received another Flavourly food box! I usually go to collect the parcel to the post office and on the way home I am always excited about what I´m gonna find there and can´t wait to open it. This time it was the same – and I wasn´t disappointed. Inside I found twelve items. – meal kit for Thai red (consists of Thai curry paste, garnishes and infused garlic oil). I have received exactly the same kit at least once before, but I haven´t had a chance to try it yet. What I like about this meal kit is that on the back of the box there is a list of ingredients to buy and a recipe to follow. – orange, fennel and chilli salt. I´m not a big fan of fennel, but I will give it a shot. Anyway, the fennel seeds are quite big, so I might just separate them and use the rest. – chilli fat-free delicious drizzle. This one will definitely be useful! – juicy fruit tea by Fruitbroo – blackberry, apple and plum. Looks like syrup for tea, smells promising. Will be good to take with me to the office. – classic garlic mayonnaise by delicioso. As a big fan of garlic I am sure this one will disappear soon. – Selwyn´s crispy seaweed with sesame. Well, I am curious about the taste. – popped rice snacks by Kintaro. 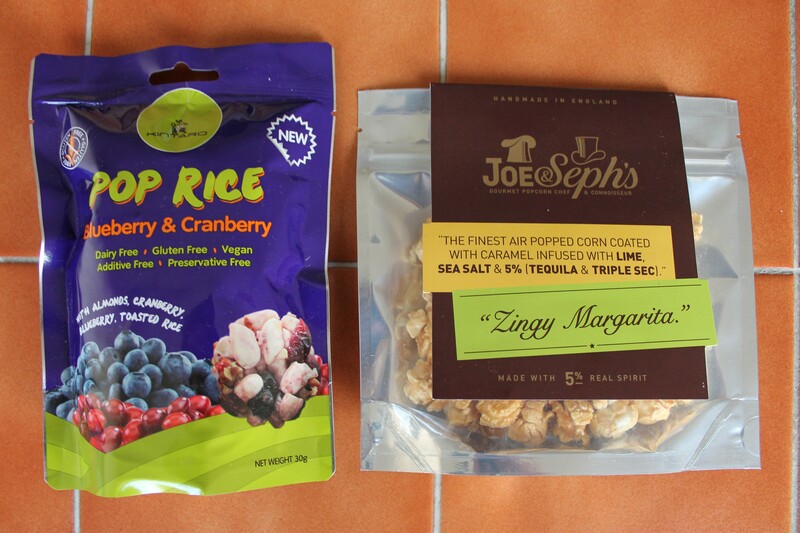 I don´t really like puffed rice but it´s with blueberries and cranberries, so we´ll see. 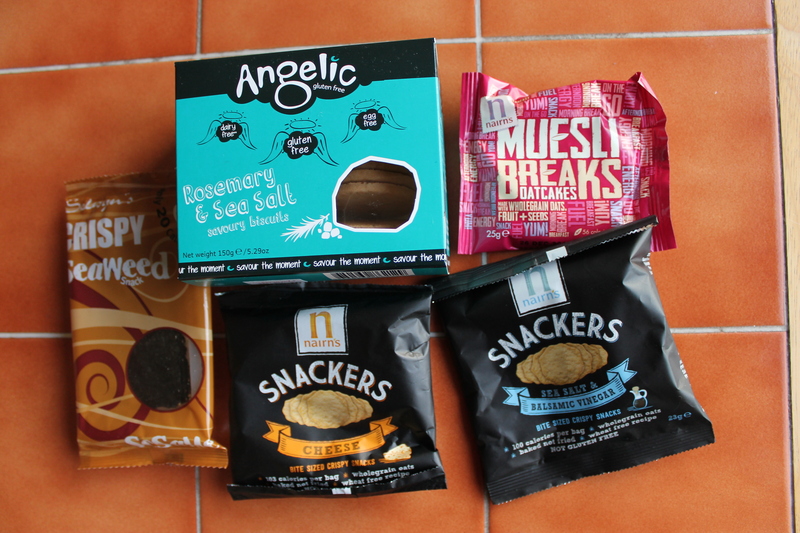 – sea salt + balsamic vinegar snackers, cheese snackers and muesli oatcakes by nairns. I feel these will be yummy. – “Zingy Margarita” popped corn. I had a popcorn bag from this company in one of the previous boxes, just with different flavour and it was nice. So I expect this one to be good as well. – rosemary and sea salt savoury biscuits by Angelic. I like the rosemary taste, so I guess I will like these. As you can see, there was plenty to find in this Flavourly box. What´s more – as a bonus you can usually find there some coupon or discount voucher. This time I got a voucher for a free activity box for children. I don´t need this one, so I am gonna offer it to somebody with kids. 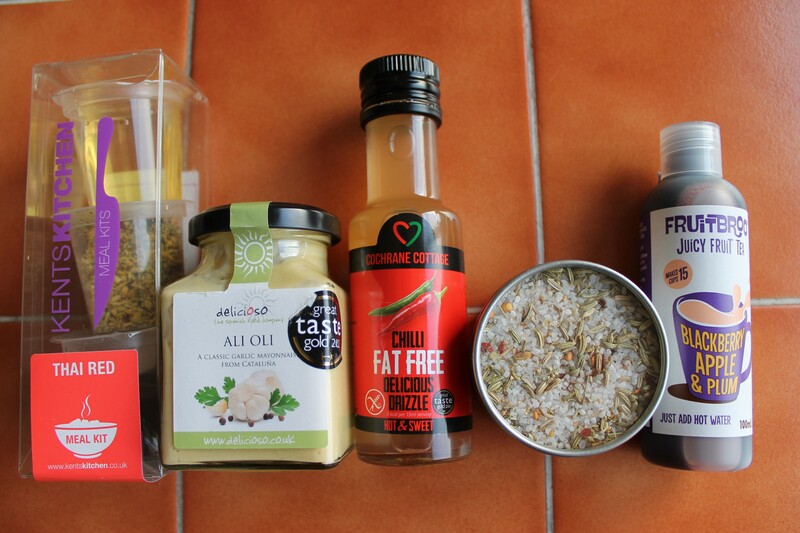 Next Post Another Flavourly food box has arrived! Hi Samiya! Thanks for your comment – it is very special to me since it is the very first one on my blog! 🙂 That´s a good suggestion. I will think about it. this looks absolutely smashing!! I wish you showed some recipes using these as well! !